It’s no secret we love books here at AWMB and when we heard of Bijal, a book therapist who prescribes books to help others discover wonderful new books (and old) through understanding their current needs, we were intrigued! The books prescribed by her could be for a specific predicament people find themselves in (for example, struggling with bereavement, friendship breakups, ticking biological clock, fatherhood, redundancy, regret etc) or they could be a travel prescription for a holiday read. Bijal had a successful career in investment banking but was really keen to pursue her passion for literature, writing and psychology having successfully published a non-fiction book titled “The Happiness Mindset“. The book’s received more than 60 reviews on Amazon with a 5 star rating. She wrote the book post-completion of a diploma in psychodynamic counselling and psychotherapy, a skillset that complements her passion for carefully curating apt books for others. 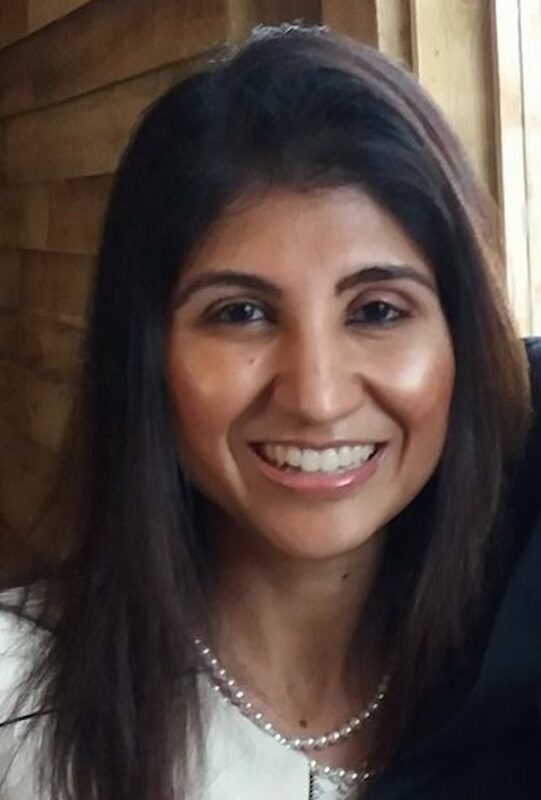 We were fascinated to learn more about being a book therapist and what motivated Bijal to leave her successful investment banking career to start her practise. 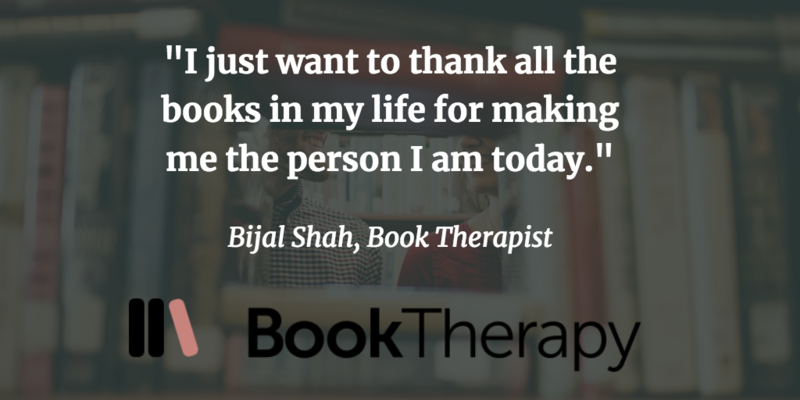 I’m Bijal Shah, a book therapist, an author and a poet. Alongside a career in investment banking, I was really keen to pursue my passion for literature, writing and psychology having successfully published a non-fiction book titled “The Happiness Mindset“. 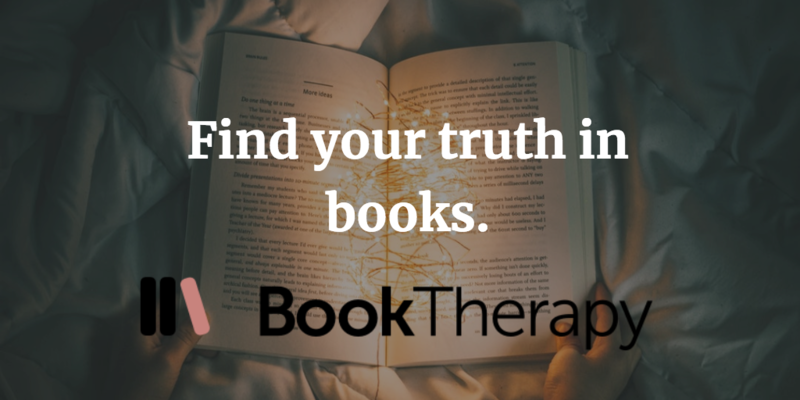 Book Therapy was born – a novel literary advice service that helps match people to books based on their individual needs, circumstances, interests and reading habits. From a young age, books were my saviour, soothing my soul during difficult transitions, family conflicts, moving countries, childhood anxieties, teenage angst, complicated relationships and navigating the competitive world of work. I wanted to leverage the therapeutic power of literature and launched a personalised book prescription service, prescribe books tailored to people’s needs and reading habits. I also curate reading lists for people who have limited time for reading and would like to optimise what they read – this can be for pleasure or therapeutic purposes. I’ve trained in psychodynamic counselling and psychotherapy, a skillset that complements my passion for carefully curating apt books for others. Prior to that I completed a post-graduate professional accountancy qualification and Bachelors of Science in Mathematics from the University of Warwick. I’m a mum of two and we currently reside in Hampstead, London. Genius writing and discovering talented authors whose books I can recommend to others as literary therapy! What is the book (or books) you’ve given most as a gift, and why? What are the books that have greatly influenced your life? My debut nonfiction book, “The Happiness Mindset“, is the book I have gifted the most! It’s the book that I hope will help others find meaning, hope and happiness. It’s also the book I wish someone had written when I was younger as a guide for sustaining happiness and success. The other book that I have also gifted lots is Michelle Obama’s “Becoming”. It’s perfect for female inspiration, believing in life again and kick-starting your motivation to pursue something bigger than yourself! There are so many books that have influenced my life! But if I had to pick three it would be Alcott’s Little Women, Victor Frankl’s Man’s Search for Meaning and Wabi Sabi: Japanese Wisdom for a Perfectly Imperfect Life by Beth Kempton. Victor Frankl’s Man’s Search for Meaning – the premise of the book is that true happiness comes from the pursuit of something meaningful, our true purpose. Frankl, a prominent psychiatrist and an Auschwitz Nazi death camp survivor, in his sobering yet enlightening memoir, conclusively makes the case that we find meaning in three different ways: (i) through making ourselves useful to others; (ii) through unconditionally loving others; and (iii) through suffering. Whilst the memoir has been out for decades, it seems that far too many of us still continue to chase happiness in the form of pleasure and constant satisfaction, yet too few of us focus on what it is that gives our life purpose or meaning. Beth Kempton’s Wabi Sabi: Japanese Wisdom for a Perfectly Imperfect Life – the philosophy of Wabi Sabi, which explores the beauty found in the transient imperfection of life, is captured in this book in stunning vignettes that leave you feeling energised and refreshed, particularly after a difficult day. It’s the perfect book for your coffee table to ensure that you’ll refer to it over and over again and get the most out of it. Lastly, I have to throw in Little Women by Louisa May Alcott – it’s the book that made me want to become a writer, to fall in love, to read more historical fiction, to travel back in time and to bond with sisters and close girlfriends all at once! An evergreen classic, the book explores themes central to all of us – love and death and juggling personal ambition against family commitments. I could probably fit in a few more but these are definitely my favourites right now! Apple Airpods! Why? Because it means I can read even more by essentially listening to audiobooks, especially when I’m doing menial tasks such as washing the dishes, laundry, driving or winding down before bed. How has a failure, or apparent failure, set you up for later success? Do you have a “favourite failure” of yours? Failing to leave my investment-banking job sooner. I’m a bit of an introvert at heart, and working in an open space office with intense deadlines and pressure to conform just wasn’t me. It sapped my energy and I used to feel drained at the end of the day. I need consistent alone time throughout the day to re-energise and an open-plan office was the worst place for a bookworm like me! In hindsight, the job itself taught me incredible communication and writing skills, as well as helped fund and set me up for success for my Book Therapy practice. I’m grateful for that. If you could have a gigantic billboard anywhere with anything on it — metaphorically speaking, getting a message out to millions or billions — what would it say and why? Writing 500 words every day. This could be a book review, a page in my daily journal, jotting down ideas and things that inspire me, a blog post for Book Therapy or a poem. Writing daily has allowed me to create a writing habit that makes it easier and easier to pen thoughts, posts, poems and essays. What advice would you give to a smart, driven student about to enter the “real world? What advice should they ignore? Network, network, network! Life is more about connections than people often realise. And of course, cultivate a daily reading habit – it will make you smarter I promise! I find writing hugely therapeutic – and it gives me lots of clarity, particular on a day when I feel like I need to process and release my emotions and make sense of uncertainty. Writing poetry in particular is the ultimate therapy at the end of a traumatic day and I would highly recommend it to others! I am actually a mathematician! Yes, I studied mathematics at Warwick University prior to qualifying as an accountant at Credit Suisse – so whilst my love for numbers enabled high-flying experiences in the Square Mile, my love for words (both reading and writing) has landed me the vocation that gives me the most joy and meaning: book or literary therapy. What has been the biggest challenge you’ve overcome? Juggling motherhood with my personal ambitions for Book Therapy. I’m fully committed to both but finding time to commit to both equally was tricky. Life is too short for bad books! In a time-conscious world, personalised reading is what it’s all about! Give Book Therapy’s personalised book prescriptions a go! Whether it’s for therapeutic purposes or simply reading for pleasure, our goal is to find you books that you will love, that give you joy and that leave you feeling energised and refreshed!